Lee Parker discovers a new detail about her birth family on her 18th birthday and seeks out to solve the mystery of who the ancestor is in the picture with Clara Barton, founder of the Red Cross. Her research leads her from her home in California to Johnstown, infamous for its epic disaster in 1889, when the man-made lake, where the rich people summer, burst and flooded the town below. The book flips back and forth from the past to the present until the two worlds finally meet in the middle. 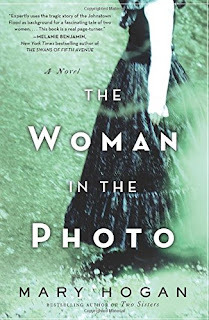 The chapters that take place in the past focus on the woman in the photo, Lee’s ancestor, Elizabeth Haberlin, one of the rich elite who is on the verge of making her bow in society, who finds herself drawn to a handsome Englishman, James Tottinger, who has come with his family to hang out with the American elites who summer at the lake, and a local townsboy, Eugene Eggar. When Elizabeth realizes the lake they summer on is about to burst and flood the town below, she risks her life to warn them before the dam breaks. This story was extremely compelling—I wanted to keep reading no matter how late it was or what I actually should have been doing. 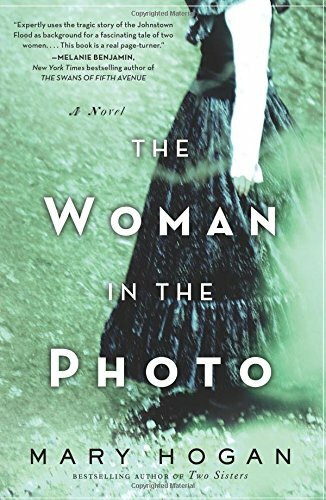 It’s riveting in an action-and-suspense kind of way, a subtle thriller, that even though you know how the story ends for Johnstown, you want to know what happens next for the woman in the photo. Its historical detail, vivid characters, and short fast-paced chapters that flip from the past to the present have a charming parallel. This story is a lot like Titanic with its Romeo & Juliet kind of love triangle issues and epic disaster of will they live or die finale, but the story tells more after the disaster as well in one of my favorite scenes in the book, where Elizabeth finds her purpose in life, working with the Red Cross to help the survivors and rebuild…and thrive. Seriously, I recommend it for that scene alone because its just so touching and sweet and shows how much Elizabeth has changed since the beginning of the novel. Well worth the read. I don't know this author but your review makes it sound like a great read - thanks. She was new to me as well, and I found it very compelling. :) Thanks for reading! You've sold me, Hellie! I'll be buying this one for sure. Yay!! :) Let me know what you think! Sometimes you need to read something different. I will definitely be adding this to my wish list.